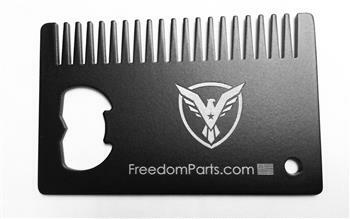 Personal items such as hats, beard combs, shirts, tactical sticks and custom American made products. High grade black t-shirts and apparel made with 100% cotton. On each custom made shirt you will have our logo and flag on each sleeve as well as old glory on your back. 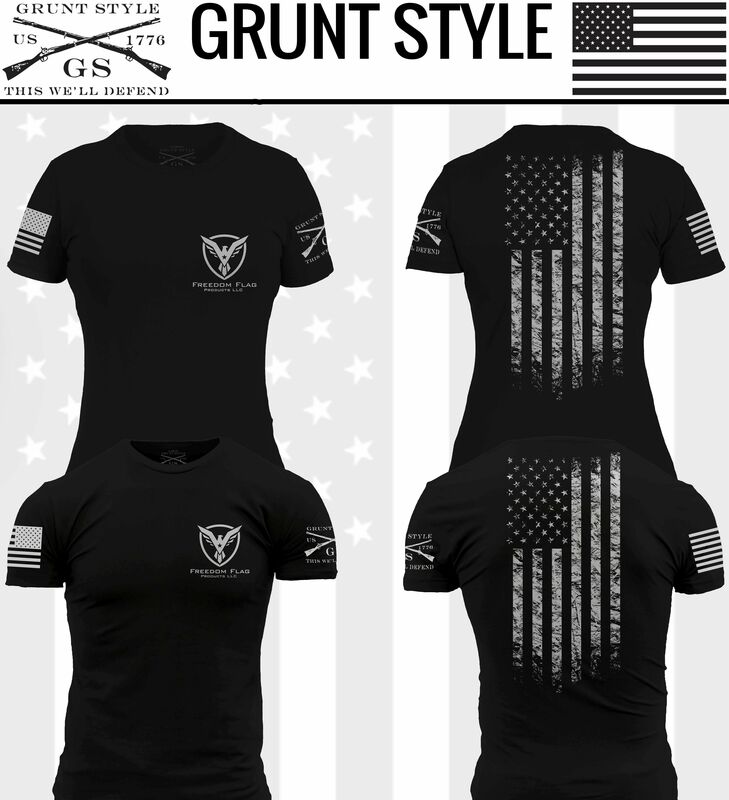 These one of a kind shirts are produced by Grunt Style. 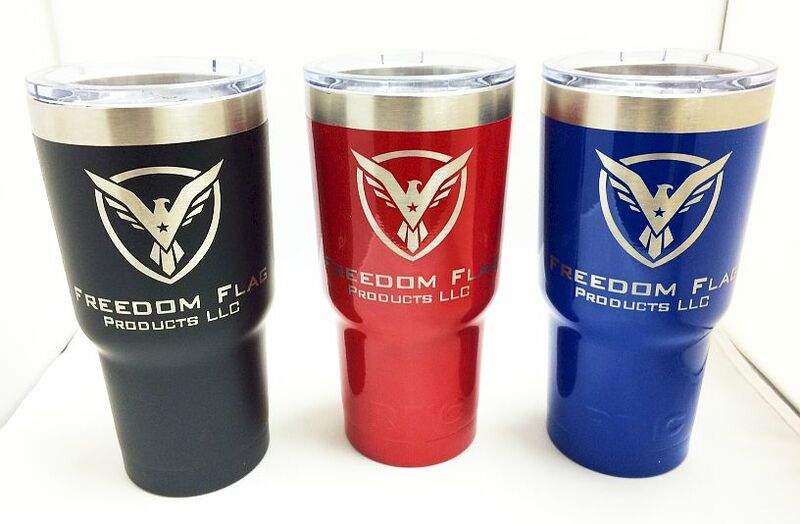 They are made for extreme Patriots wanting to support and show their pride! They come in various sizes and are made for both women and men. 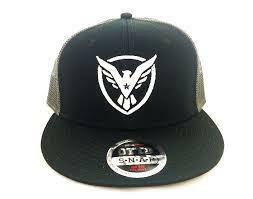 These are custom embroidered hats with our Freedom Flag Logo on the front. These one tone color hats come with a mesh back and a plastic snap closure. They are quality multi colored New Era hats. Made here in the USA by a local American company. 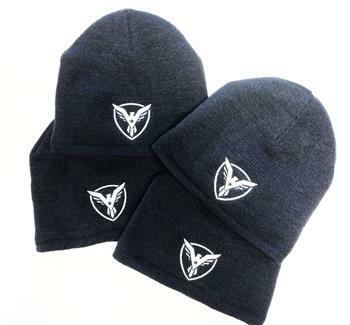 They are a sturdy hat with a comfortable fit and high profile embroidery. One size fits all! 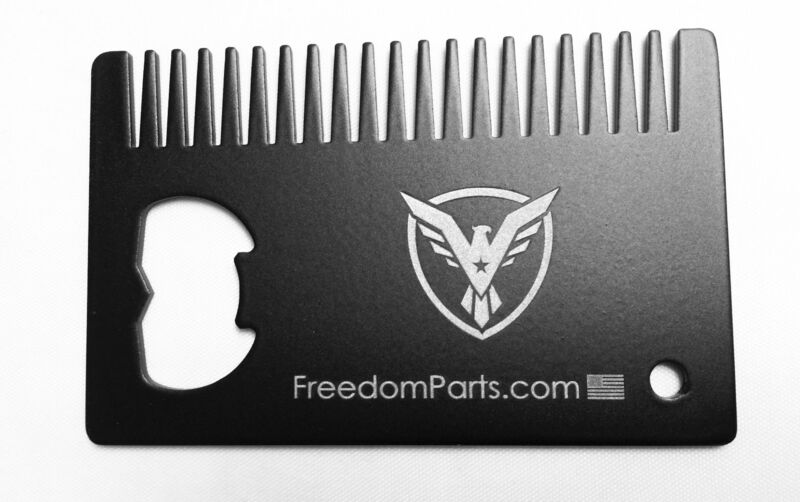 Our Beard Comb Tool is great for grooming on the go or using to open a bottle. A must for everyday carry and fits easily in a wallet. Here is a custom CNC machined high grade aluminum self defense tool. It fits easily in your pocket or purse. The utility features consist of a key ring hole and pointed end which can break glass. It also allows the user the ability to defend yourself should you find yourself in a unique position. 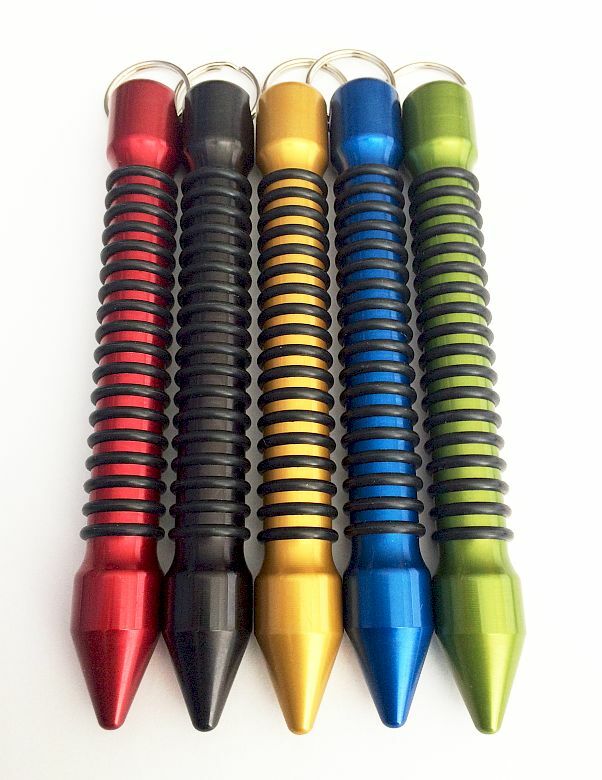 It is made out of aerospace grade solid aluminum that can be custom finished. Don't leave home without it! 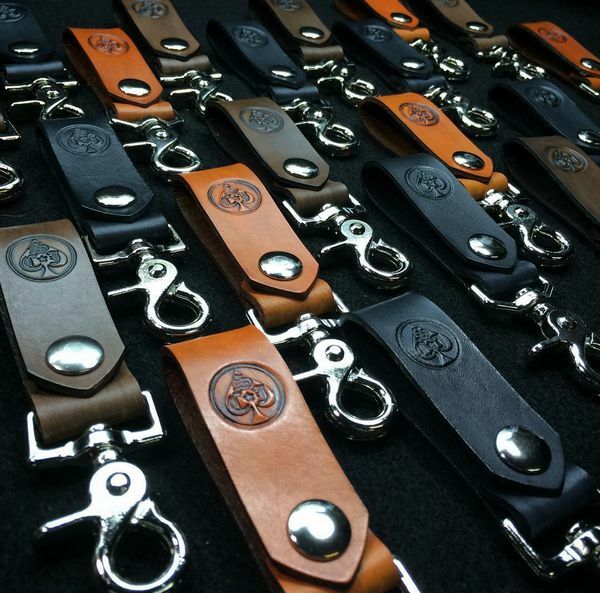 The Details: As functional as it is fetching, this leather key fob can help you out with that key losing problem. Clip the hardware to a belt loop or snap the leather bit around a bag strap to keep them in plain sight. The leather key-chain comes in your choice of saddle black colored vegetable leather, which will patina over time, aging with character. - Choose from saddle or black leather - Brushed nickel finish hardware - Tanned leather - Hand Crafted Never lose your keys again!